1. We had a REALLY intense 4 hour club workout on Saturday. C and I arrived at the lake at 7:45am. It was cloudy and really windy so the waves in the lake were HUGE! It was a really hard swim but I somehow didn’t drown. Then we grabbed our bikes and biked over this dam for about 10 miles that was also SUPER windy. Struggled. Thennnn we got off our bikes and frolicked in the field for some run drills. It’s a miracle that I can still walk. Triathlon…here I come. 2. I bought this shampoo that’s supposed to make your hair grow faster. I’ve used it about 3-4 times now…when I finish the bottle, I’ll let you know the results. 3. Mad Men was really strange again last night. What the heck happened to Betty? We didn’t see her once! I can’t believe Lane beat up Pete and then tried to come on to Joan. Good for Don for keeping his dignity (if only this one time) and avoiding those women. Where is this season going…? 4. Love watching C coach his kiddos. 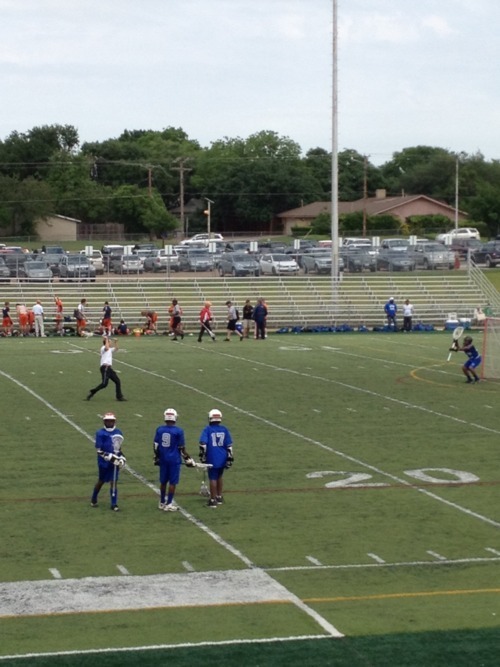 They are going to be so good at lacrosse some day! 5. We made this chicken on Saturday night for dinner with quinoa and broccoli. It was DELISH! So then…we made it again on last night. Addicted. Super easy too! I modified the recipe a little bit by adding a little safflower oil in the pan to bring the burn temp up and I also dusted the chicken with flower, salt, pepper before putting it in the pan. The flour created the perfect crust on the chicken and the brown sugar was the perfect touch. I also pounded the chicken out a little thinner so that it cooked faster on the stove. Last night we made it with roasted sweet potatoes and sugar snap peas. Look at us…being so healthy…cause, we’re training. Duh. chocolate chips, as many as you desire. Basically just mix everything but water/milk and chocolate chips. Mix in enough water/milk until you get the desired consistency. Mix in chocolate chips. 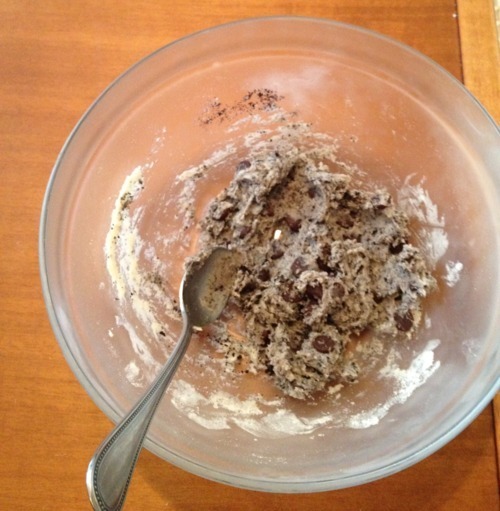 (oh then I added some crushed oreos that I had leftover from something else…) Devour and don’t feel guilty.